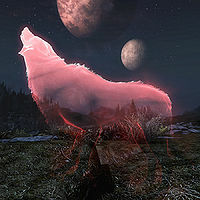 The Howl of the Pack is a beast form howl that summons two spectral Pack Members to aid you in combat. 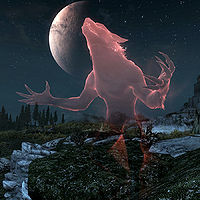 If the Dragonborn add-on is installed, wearing the Ring of the Moon will increase the duration to 75 seconds. This page was last modified on 20 May 2018, at 06:50.